These gourmet components supply the foundation for good health by providing essential nutrients and necessary energy. 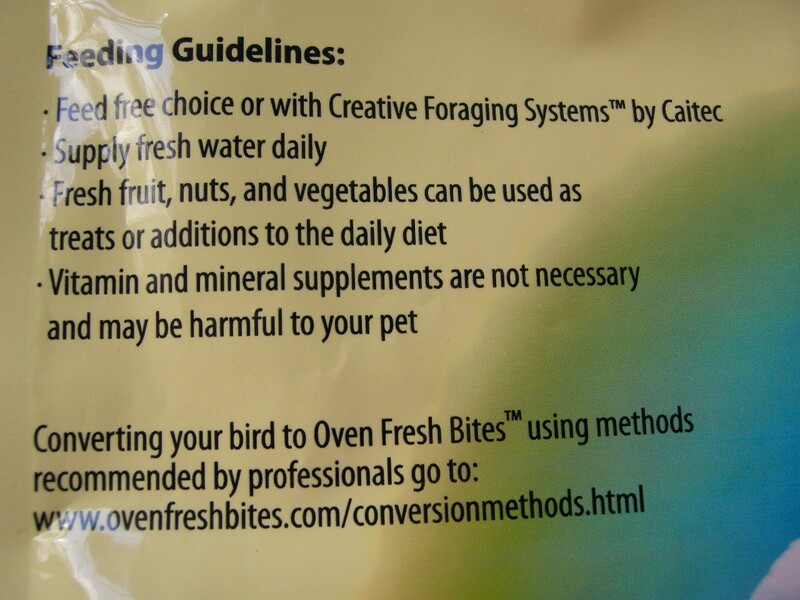 They also aid in digestion and improve the skin and feather condition of your avian friend. 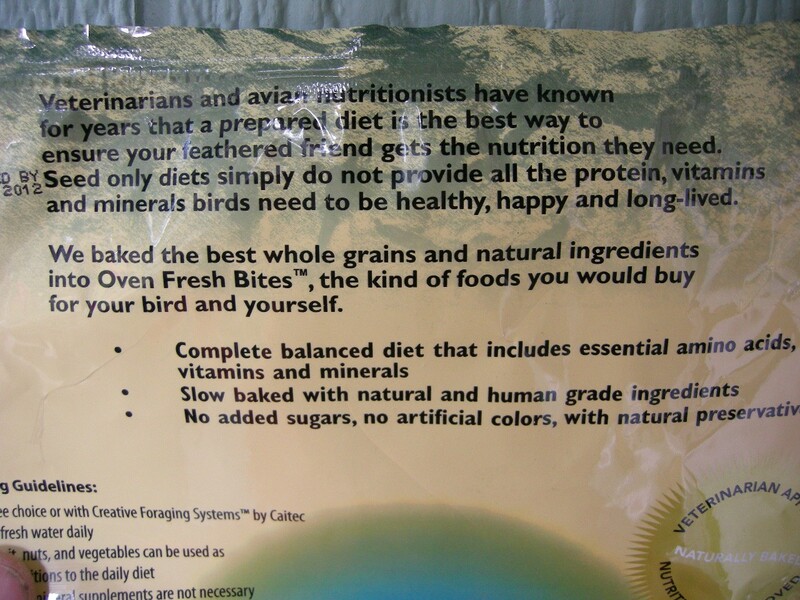 Oven Fresh Bites bird food contains scientifically recommended levels of essential natural vitamins, minerals, amino acids, antioxidants and a healthy balance of Omega 3 and Omega 6 fatty acids. Small Parrot Bites for Cockatiels, Lovebirds, Budgies, etc. 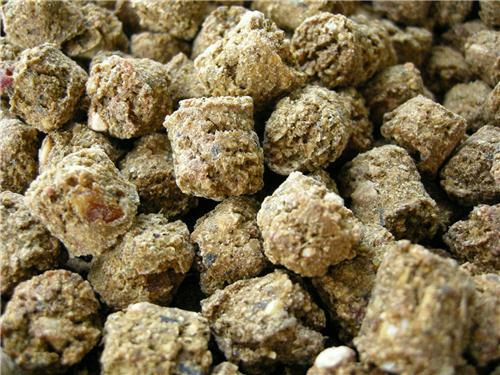 Medium Parrot Bites for Conures, Caiques, Senegals, Greys, etc.